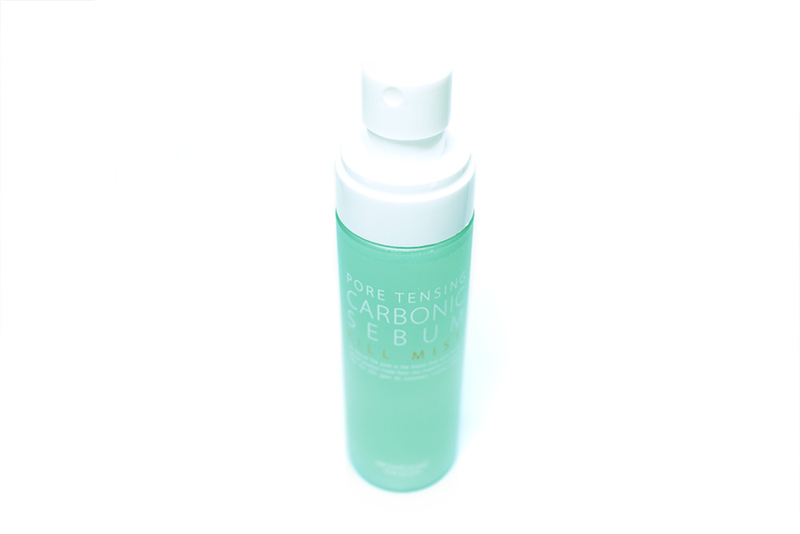 Review: Carbonic Sebum Kill Mist (So Natural) – Oh My Stellar! First off, I have to admit that this is one of the most difficult products for me to photograph! 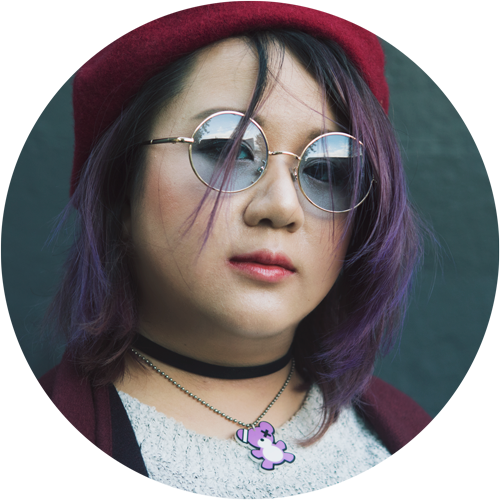 This was partly because I’ve been on holidays and really lazy with my lighting set up (I only photographed this with my miniso desk lamp), so please forgive that the colouring is a little bit off. I will include one of the official photos though, which is very accurate to life. So the product comes in a off-white paper box that has a very natural feel to it – it has a matte, textured finish and isn’t slick. The design is very simple and I think it looks good! Nothing too remarkable but also not bad either. It really works with the So Natural vibe. Opening it up, you get the bottle of the mist. The plastic is frosted and the design is nice. It feels sturdy but I had trouble with the top (the spray nozzle and lid) where it seemed to be leaking a little right right after application. That is, there is a bit of product that is stuck but it doesn’t leak after you dry that off. Although I wanted to take this product with me to retouch during the day, I was hesitant to for this reason. Regardless though, the suggested use for this product is actually to apply it after you wash your face so it is more intended as a skincare face mist instead of a setting spray (which was what I originally thought it was). 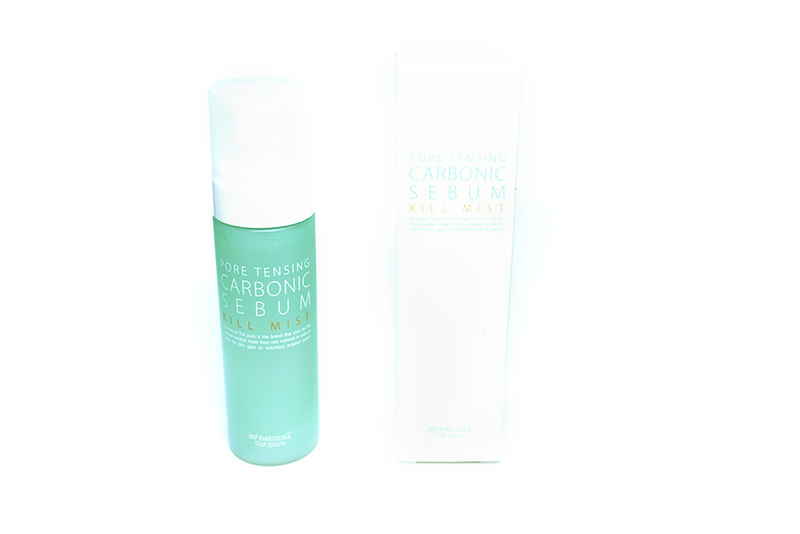 As you can see from the photo above, the Carbonic Sebum Kill Mist has two layers – the top is a hydrating liquid layer that is similar to a standard mist, whilst the bottom actually contains super fine powder which is intended to help with sebum control. The bottle needs to be shaken lightly before use – the mixture combines really easily and it also settles back to the normal state. 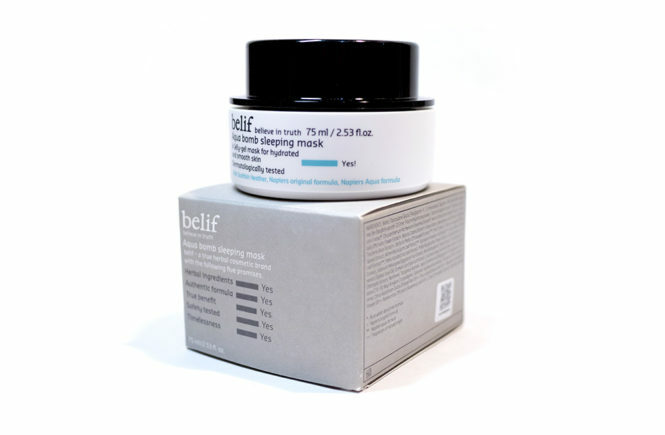 The product claims to control excessive sebum, which has been a big issue for me during the late afternoons lately. 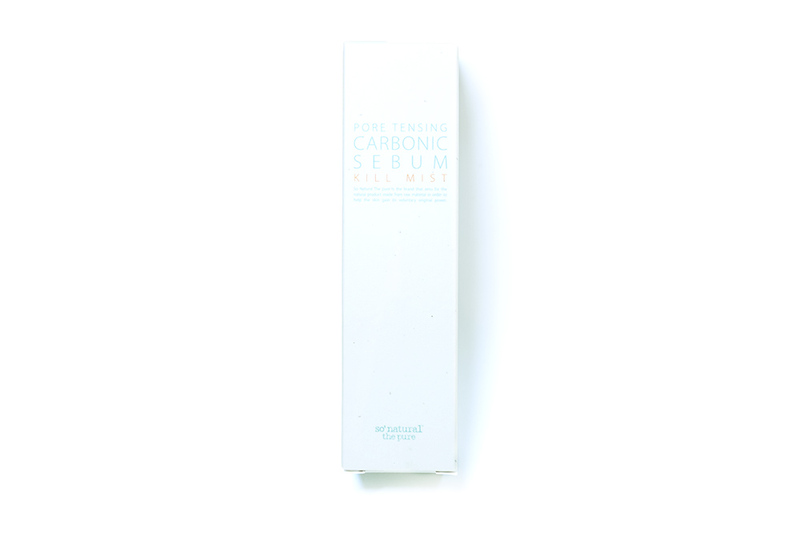 It also claims to help tighten up widened pores and hydrating your skin through the use of carbonic water (from France) and Fijian water. The powder at the bottom seems to be white clay, which is a great masking ingredient for oil control but can be a bit drying at times too. 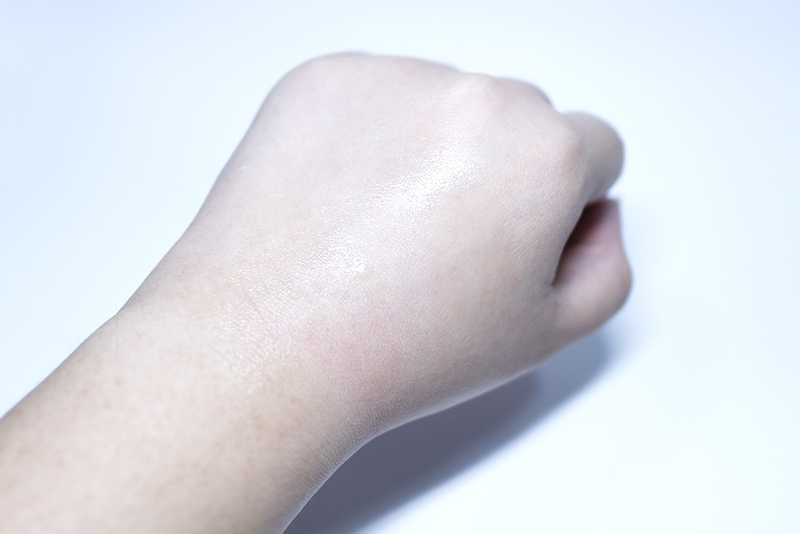 Above is an example of how it applied on my skin. 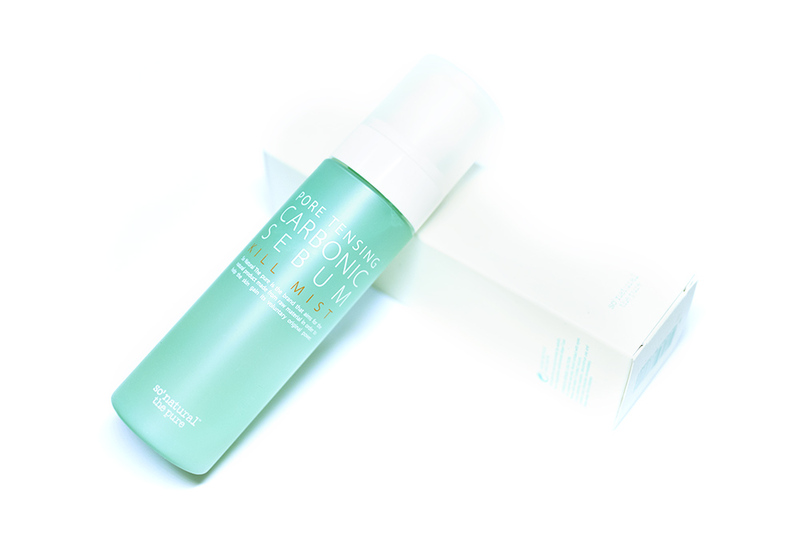 The formula is really light and it absorbs really quickly, leaving you with a mattified finish and a quick, refreshed surface. The spray nozzle isn’t as fine as people generally like, but I personally don’t mind slightly stronger mists – this is still well dispersed and has a good surface area to cover your face. 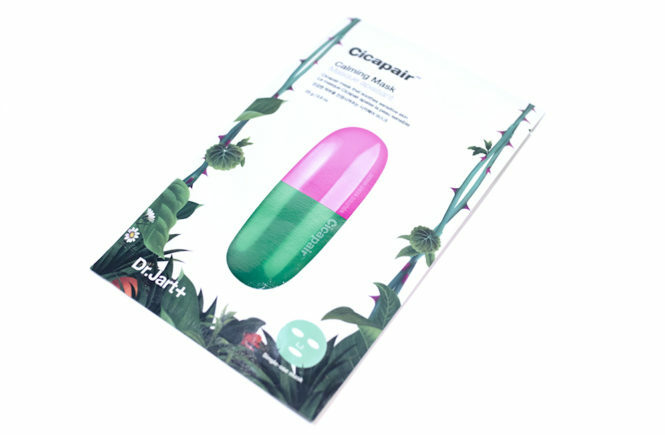 The product has a very nice and refreshing scent – though I can’t exactly pinpoint it – that isn’t overwhelming. 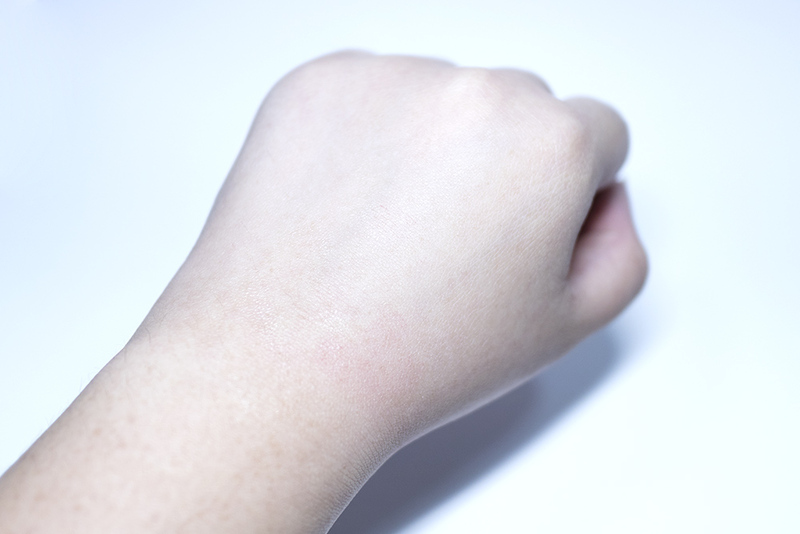 It fades fairly quickly too, which is great for those who are more sensitive to scents. 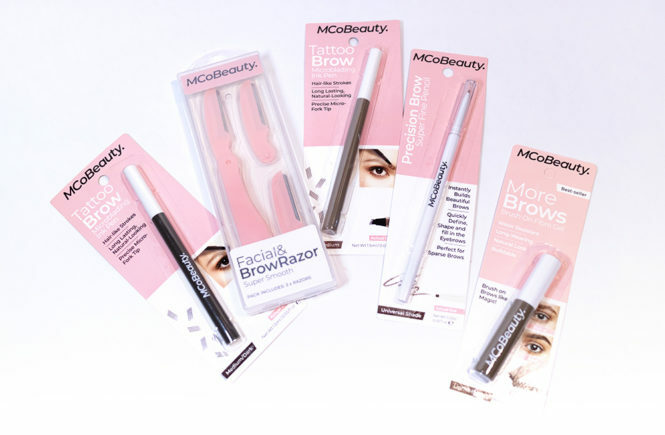 So with this product, I tried it on a few different ways. So far, I think that it works best either alone (I used this on a ‘bareface’ day where I only wanted moisturiser and a bit of spot concealing on my skin) or underneath make up as a primer. 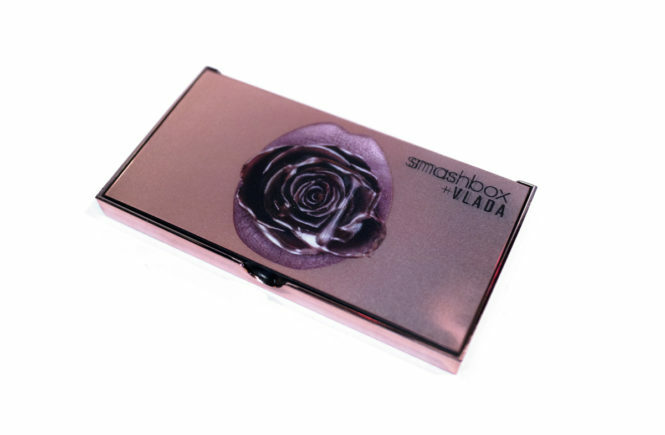 It gives skin a hydrated and matte finish for make up to sit on and it does help to control oil well. My make up generally lasts well until late afternoon but a quick spritz of this is also enough to refresh and mattify my base. 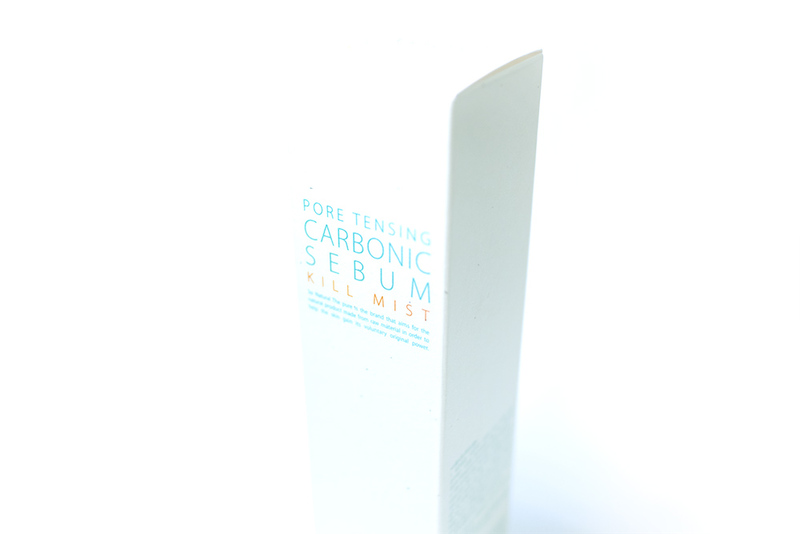 For that (as a setting spray), the mist doesn’t seem to help make up last longer but helps skin to maintain oil control. 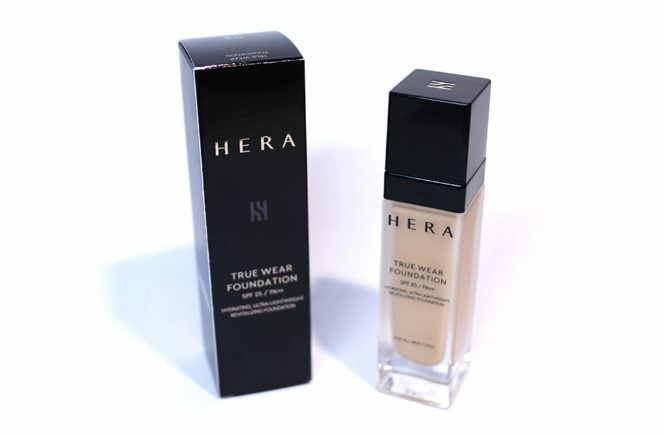 It works on top of some make up better than others – I find that heavier, foundation make up tends to look cakey if I use this spray and matte foundation types (like the Fenty Beauty) will also become too dry. 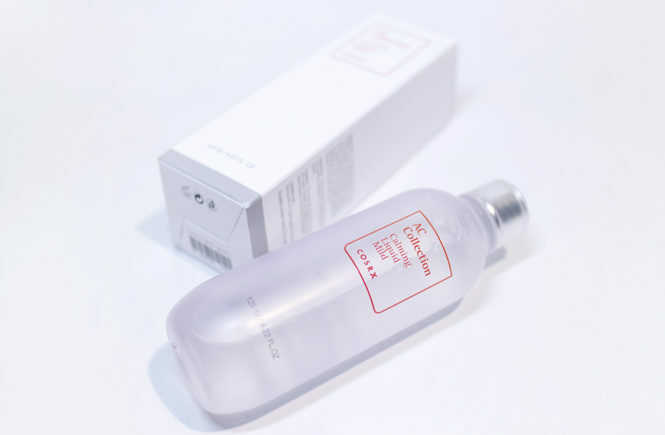 This mist is best used on top of light, dewy finish base make up – I think that this will be suitable with most Korean BB cushions. But that being said, I do not recommend powdering skin underneath this spray unless you have very oily skin. This will result is a very cakey and overly matte surface and, while it may work for some skin types, it just didn’t do it for me. Overall though, I do like the product and I will continue to use it. 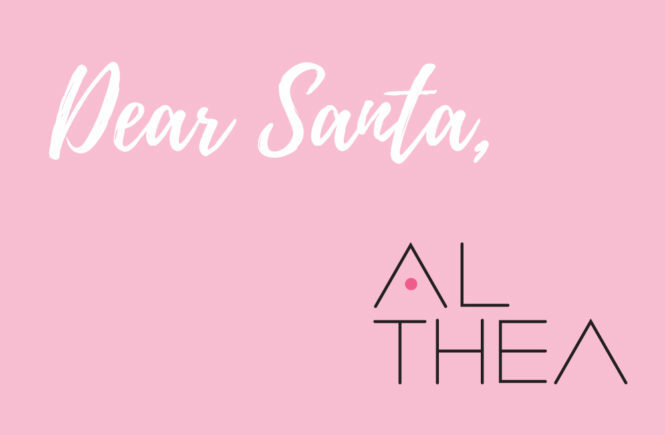 However, it definitely had very clear pros and cons that I think will be dependent on your own skin type and make up routine. I would recommend trying this out but I think that this is a product that is greatly influenced by skin type and the rest of your skincare/make up routine so I am hesitant to say that this will suit everybody. 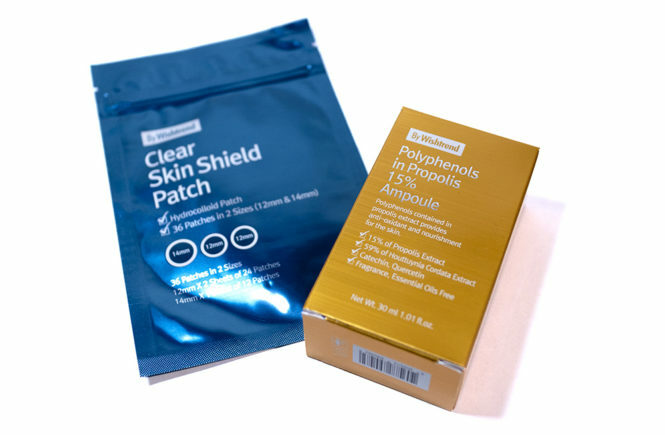 Personally, I like it and I think that it works for me on most occasions but I would recommend taking your own skin type into consideration before deciding whether or not you want to try this. 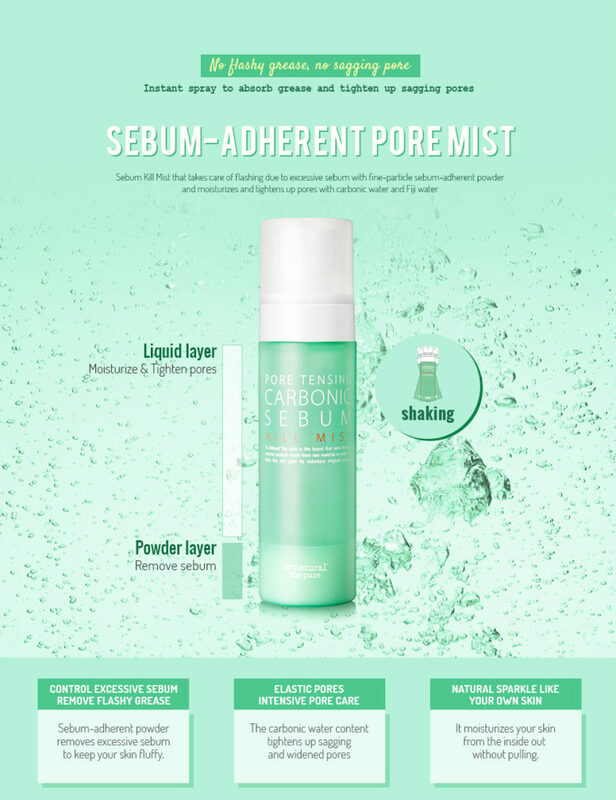 The Carbonic Sebum Kill Mist is available at StyleKorean for USD$15.79 – also, check out the So Natural page to see the rest of their offerings!